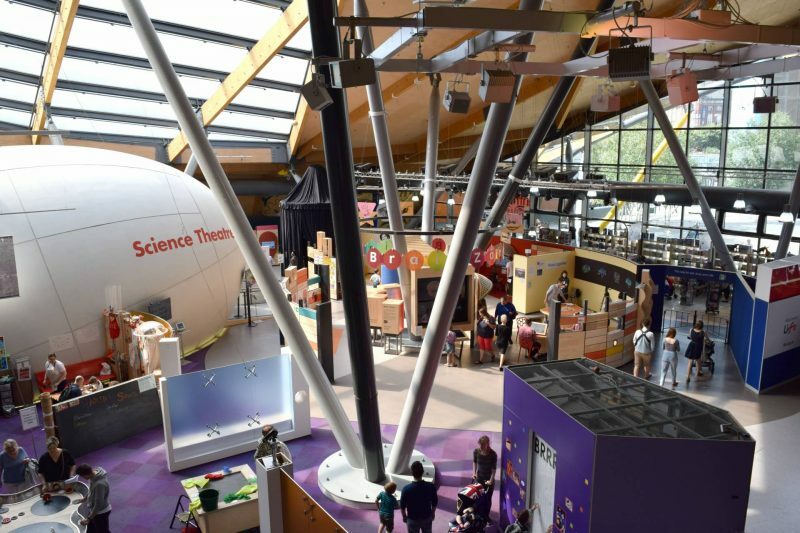 We often visit the Life Science Centre in Newcastle because it’s jam packed with interesting exhibitions, fun things for little people and it also serves a good cup of coffee! 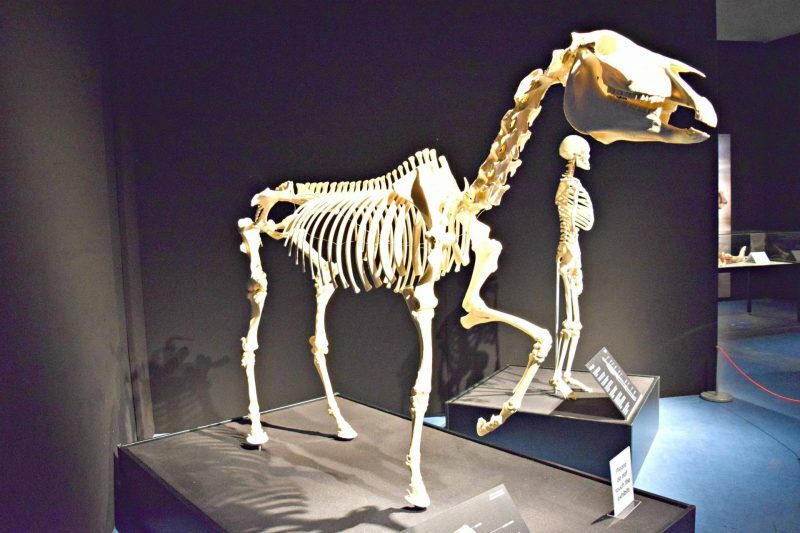 The most recent thing we’ve visited to see is the Animal Inside Out exhibition which is running until 3rd January 2017. 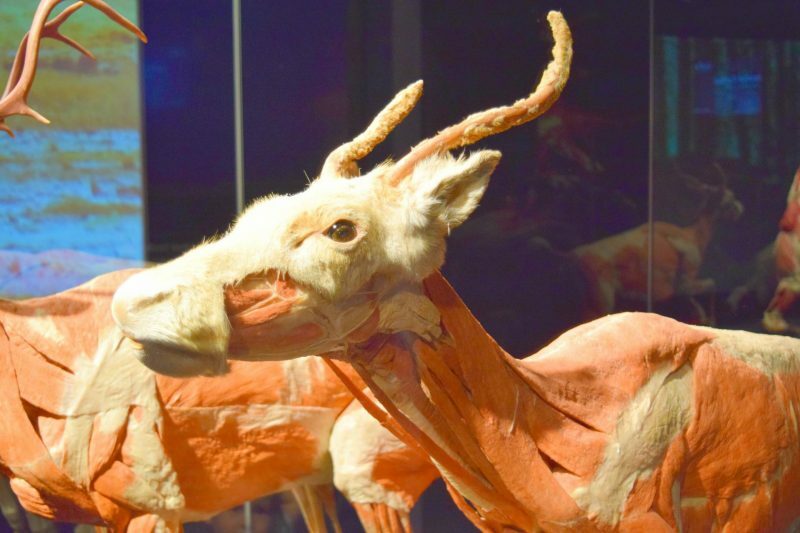 It’s Gunther van Hagens’ exhibition and features over 100 real preserved animals and specimens. 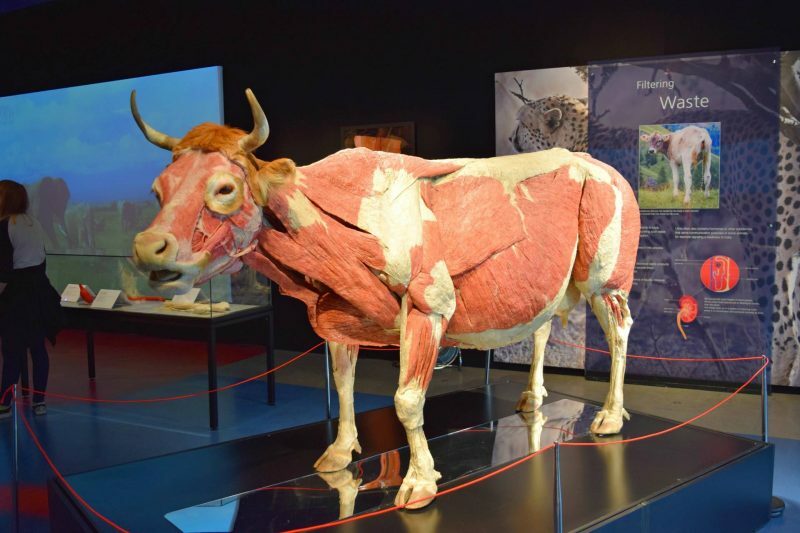 The Animal Inside Out exhibition features real animals that have been preserved by use of Plastination – a technique that is used to stop the decomposition of a dead body by replacing the water and fat with certain plastics. This preserves the organs and structures inside to allow the sample to retain most of it’s properties and assists with medical and scientific research. 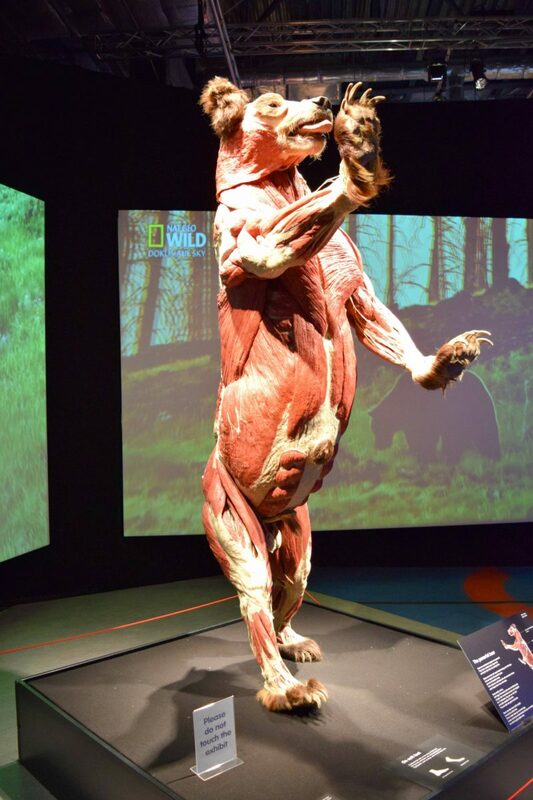 It was really interesting to see inside the animals and learn about the blood vessels, muscles, nerves, and digestive and reproductive systems that lie underneath their skin. It’s amazing to see what goes on under the surface. 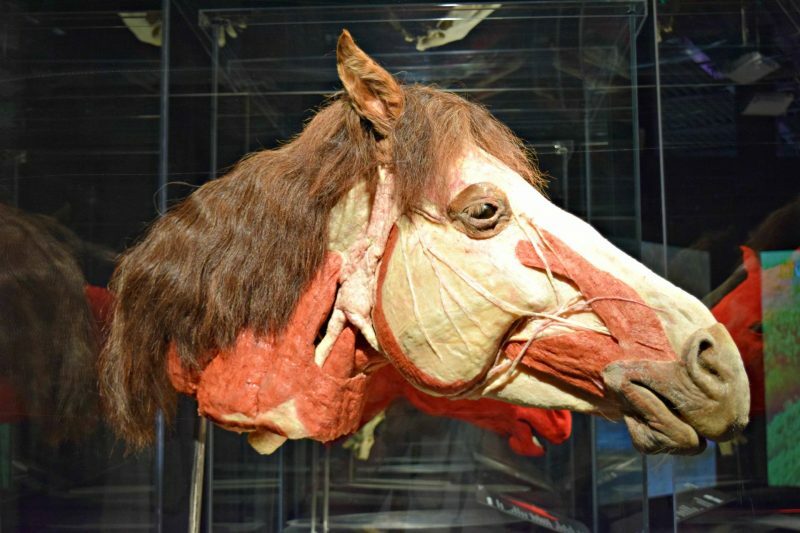 There was nothing gruesome about the animals and although the animals are real, they’re preserved so you won’t see blood or guts (they look more like realistic models). The exhibition is recommended for children over 8 years but I honestly don’t think they need to be unless they’re particularly squeamish or very sensitive. Despite the fact the little man is young he thoroughly enjoyed looking at the animals and listened while I explained what they were and why they had no skin or fur. After we’d spent time wandering round the Animal Inside Out exhibition we decided to stop for a spot of lunch. 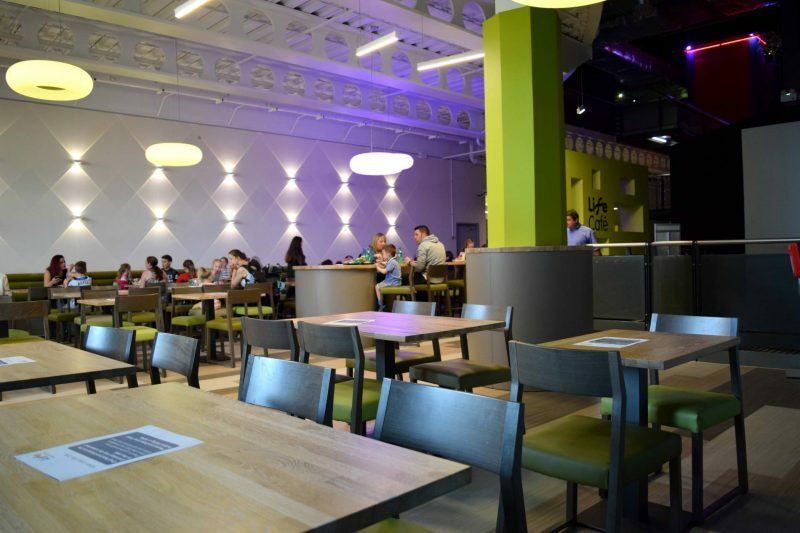 There are two places to eat and drink within the Life Science Centre :- Times Square Cafe and the Life Cafe. 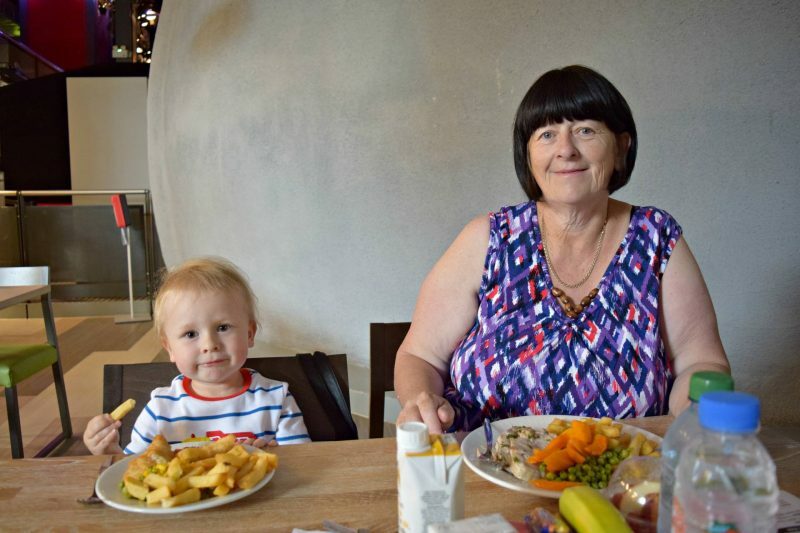 We chose to eat in the larger Life Cafe and were really impressed with the options and price. Our meals were tasty, fresh and the portion sizes were really good. The Life Science Centre also sell uber delicious Canny Shakes which I love. Canny Shakes are local and give 5% of their profits back to the centre. 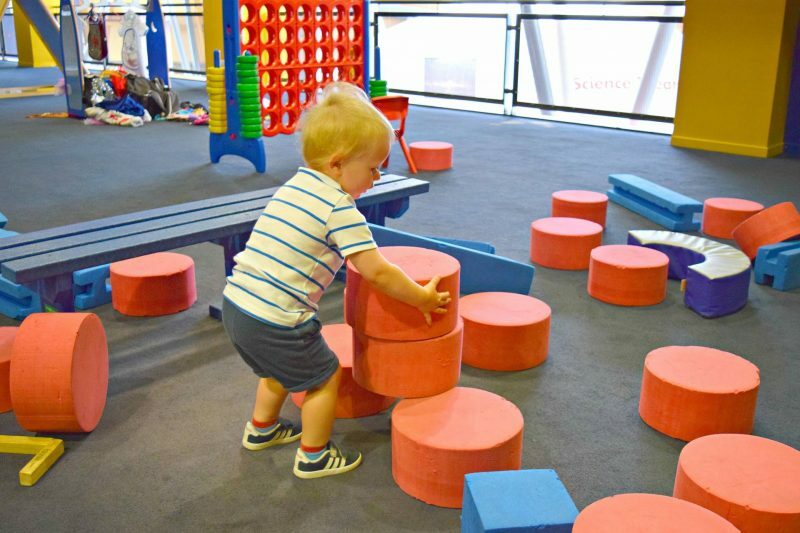 The fun seems to go on and on at the Life Science Centre, we spent time checking out the Curiosity Zone where the little man built a house with bricks, splash water from a toilet and created ball runs which made him laugh hysterically. We managed to persuaded a member of staff did let us have a quick look round the Experiment Zone despite initially been told we couldn’t go in. The experiment zone looks fab but sadly it’s only for children over the age of 7. 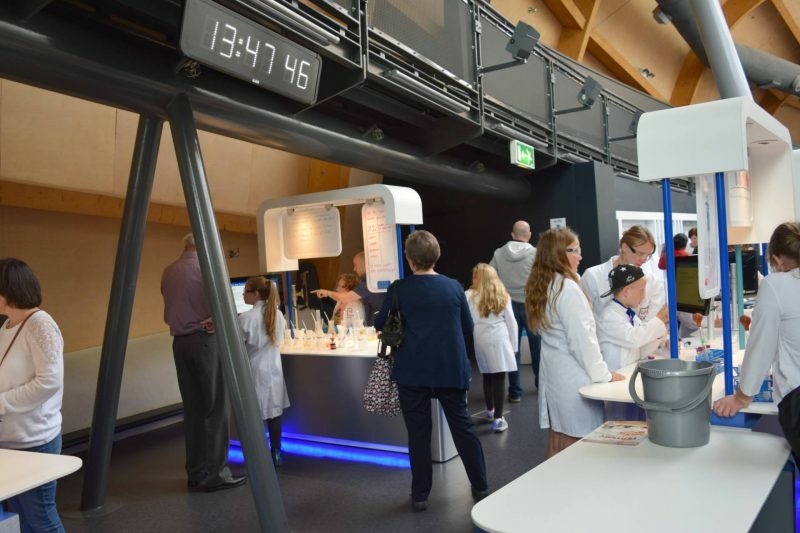 I’d have really like to have seen things suitable for younger children too as it’s a great way to get kids involved and learn about simple experiments that they can potentially recreate at home. Then we moved onto the Little Explorers Zone upstairs. 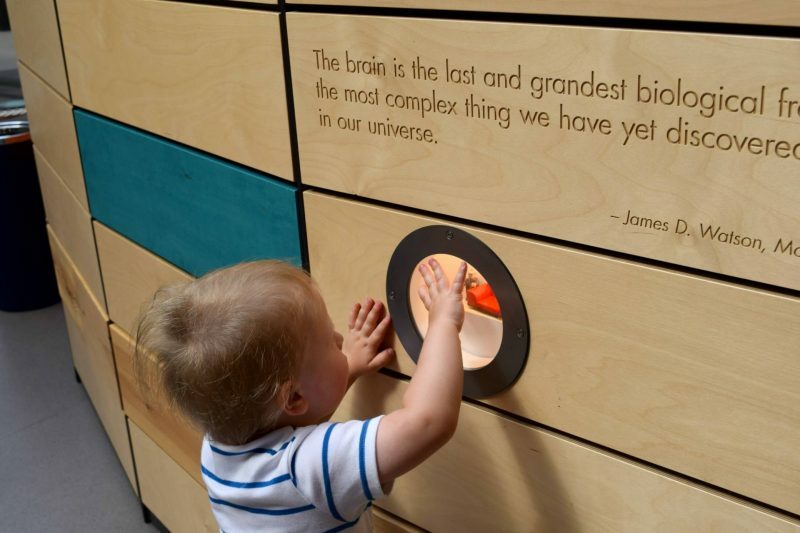 This is the Little Mans favourite spot in the Life Science Centre. 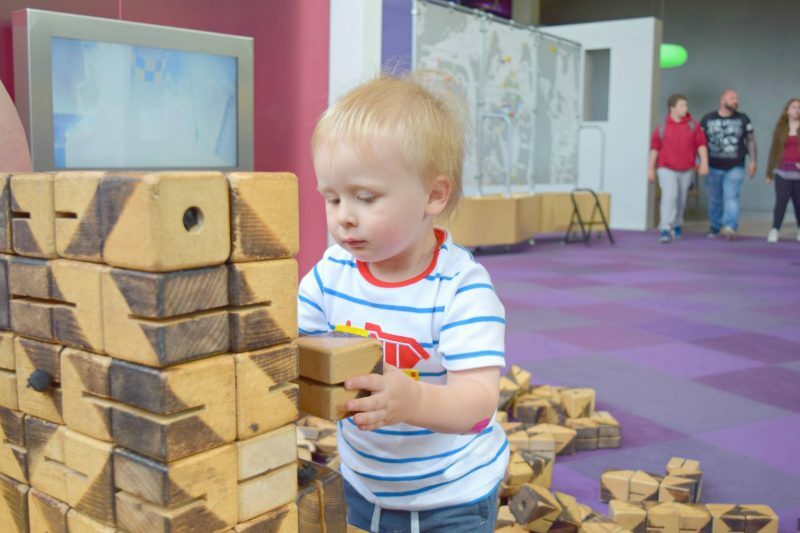 It’s home to soft play, a wooden train track, building blocks and a large role play area with kitchen and house. It’s such good fun for little people and it’s so hard to make him leave at the end of the day. There are various shows on in the Planatarium each day. During our visit we watched Little Bear goes North in Planetarium which the little man enjoyed. It’s aimed at under 7’s so is toddler friendly and lying back on the seats inside was a hit for him and Mammy. It was interesting to learn about the constellations with easy terminology and a cute animation. 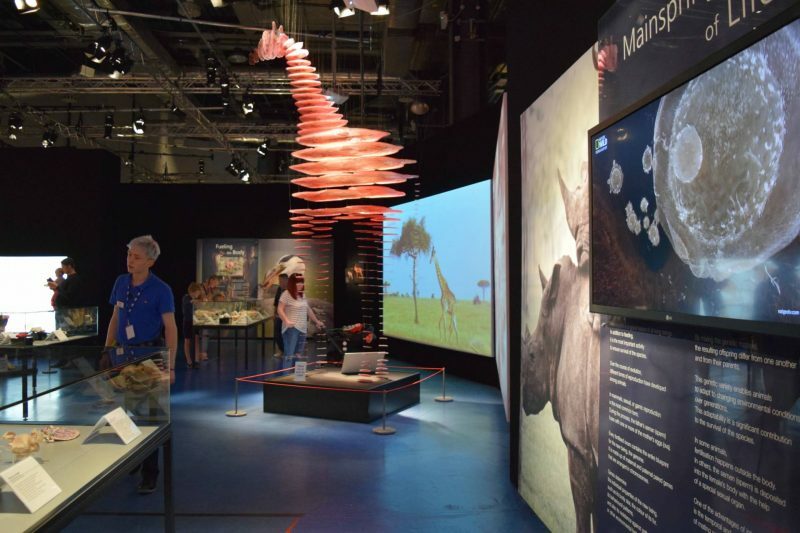 You can visit the Animal Inside Out exhibition during Life’s normal opening hours and entry is included with the centre’s regular admission. 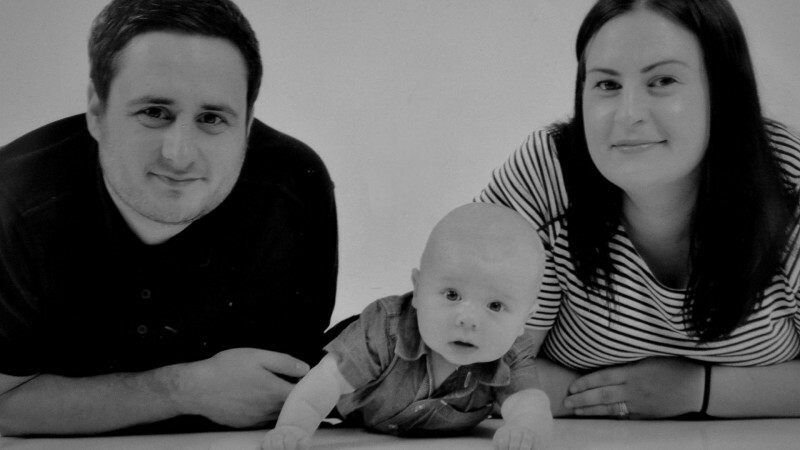 It costs £14 for an adult ticket, £8 for a child 5-17 years. 4 year olds and under are free. 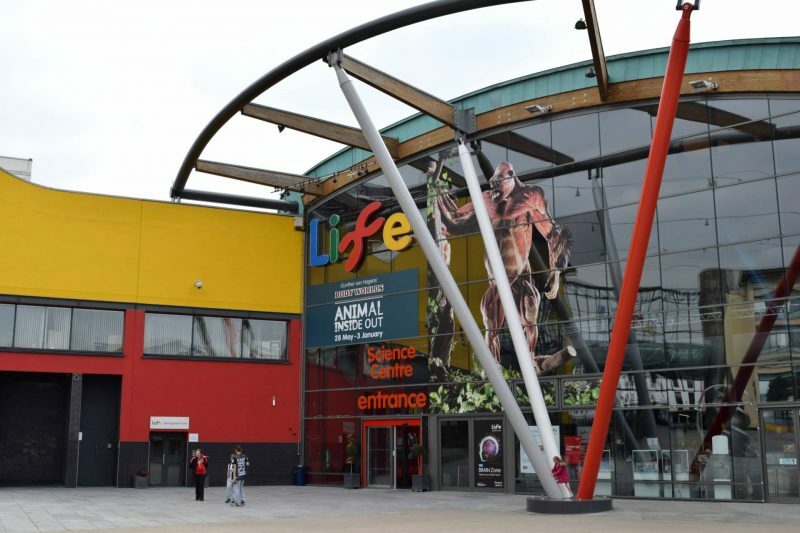 The Life Science Centre in Newcastle is a great day out at any time but the Animals Inside Out exhibition is definitely an added bonus. 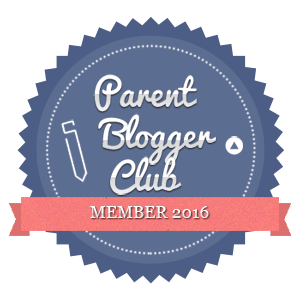 It’s great for the whole family and a unique way of learning about what’s inside our bodies. Ahh! We loved the Animals Inside Out exhibition…My girls were fascinated. It sounds like you had a wonderful time. It is such a great place to visit….